Vallarai/brahmi/gotu kola also known as pennywort, is a herb which has many medicinal benefits. The leaves and roots are used widely in ayurveda and siddha to treat and cure many diseases. It has all the necessary nutrients needed for blood in a balanced scale. It improves memory power. It is used to regulate menstrual cycle, and strengthens nerves. It is helpful in reducing anxiety and provides good sleep for people suffering from mental fatigue. It has been proven effective in the treatment of varicose veins and skin problems. Google to know more. Wash the greens, take out only the leaves and keep aside. In a heavy-bottomed pan, heat a spoon of oil and fry pepper, urad dal, tur dal, chillies until golden brown. Transfer it to a plate. In the same pan, again add a spoon of oil and saute the curry leaves and vallarai well. When cool, grind it alongwith the dhals in a mixie to a paste. In the same pan, heat the remaining oil, add mustard seeds and hing. When it splutters, pour in the tamarind extract, turmeric powder and salt and allow it to boil until the raw smell goes. Now add the ground paste, mix well and allow it boil until it thickens. 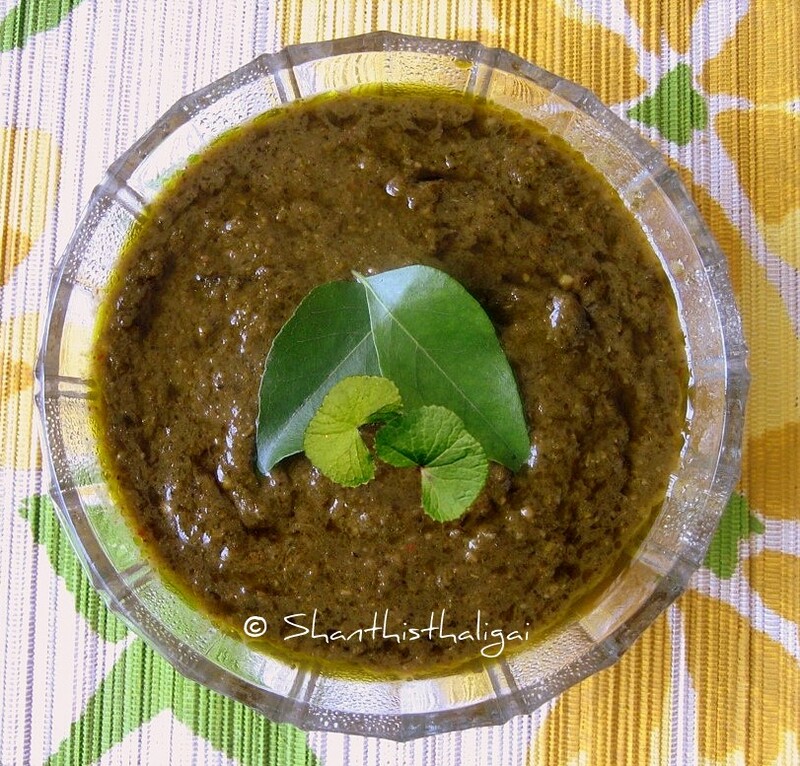 Delicious and healthy Vallarai milagu kuzhambu is ready. Mix with hot rice and a dollop of ghee.